Our law firm advises and assists companies through all the stages of their existence and supports them in solving day-to-day problems. 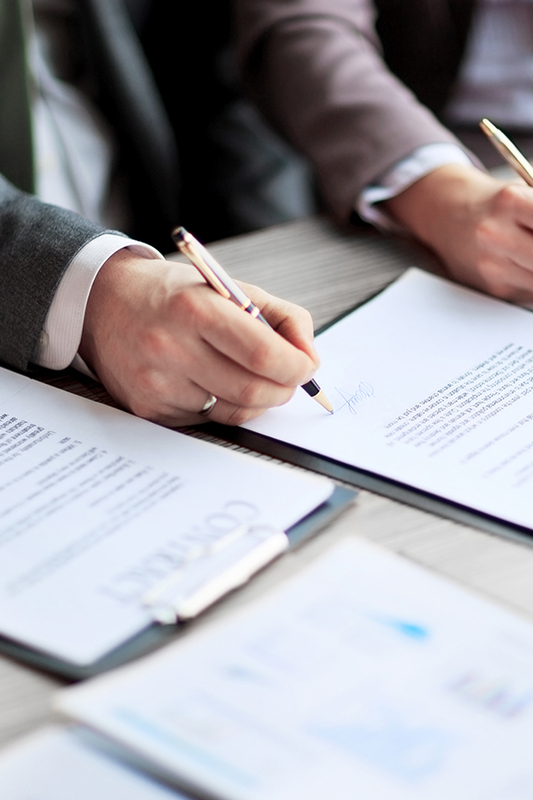 Our core services include advising our clients in writing the necessary commercial contracts (terms & conditions, loan agreements, pledge contracts, distributor contracts, agency agreements, license agreements, franchising and rental lease contracts) as well as during the preliminary negotiation stages and when litigation occurs. Our activity also leads us to represent clients in procedures related to insolvency and bankruptcy law. We give advice to the management as to the measures to be taken in case of financial difficulties, and assist our clients in procedures of debt collection, debt restructuring (concordat) or stay of bankruptcy.